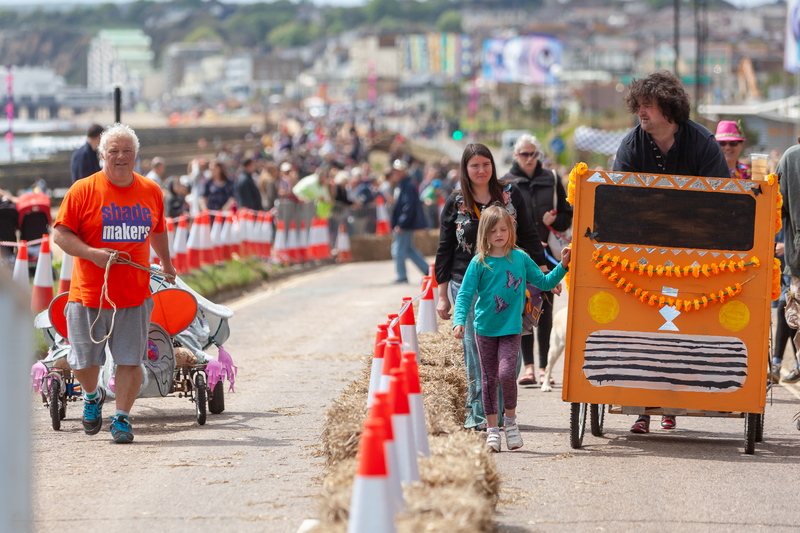 Congratulations are in order for everyone who helped make last weekend’s Hullabaloo event such a success. 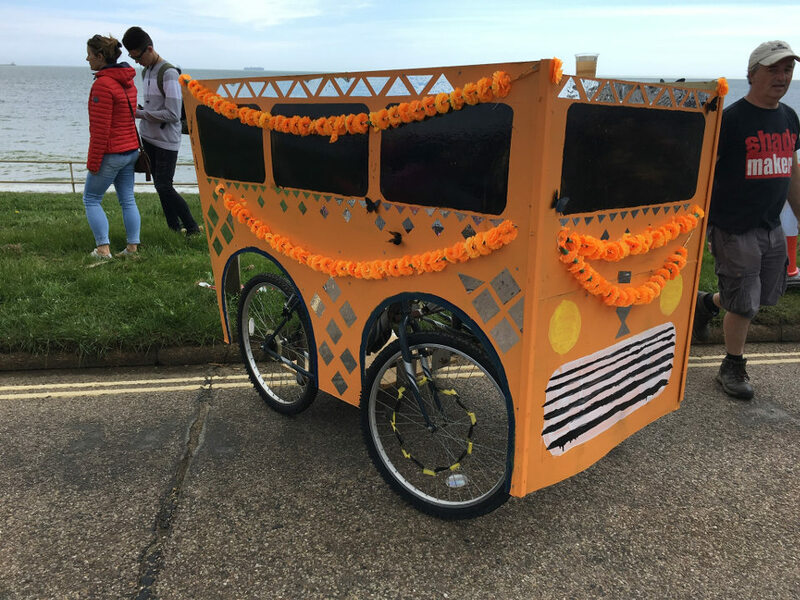 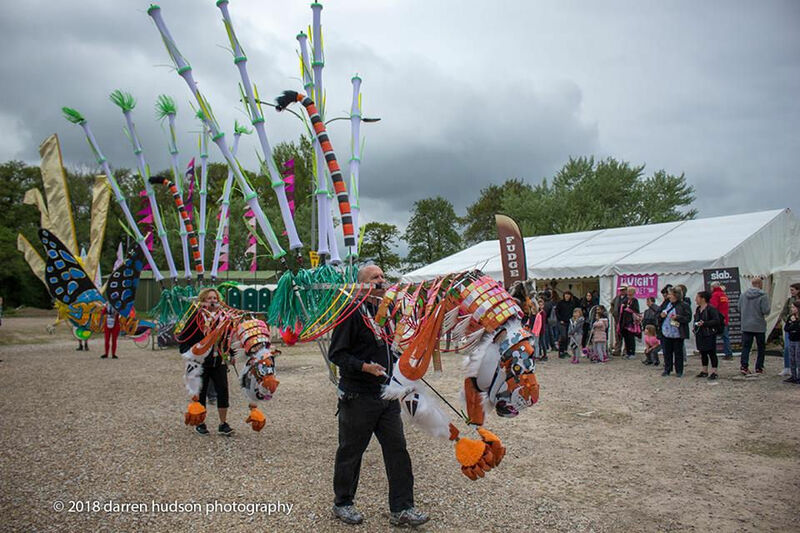 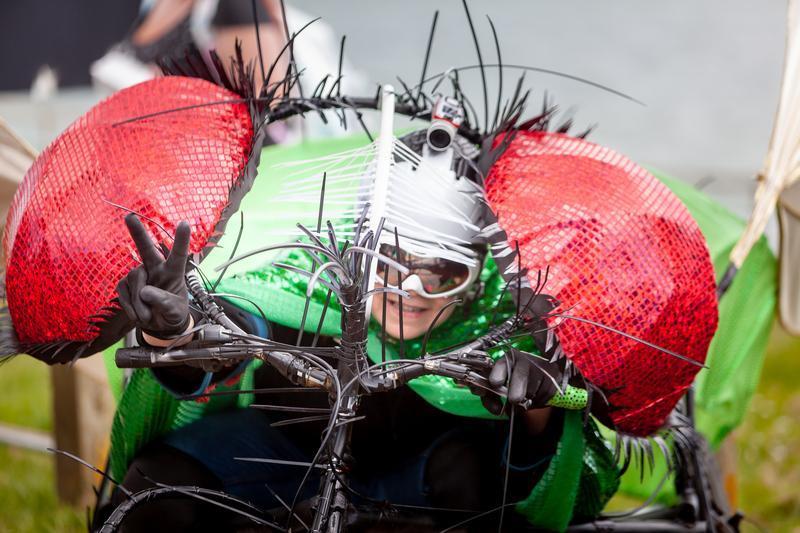 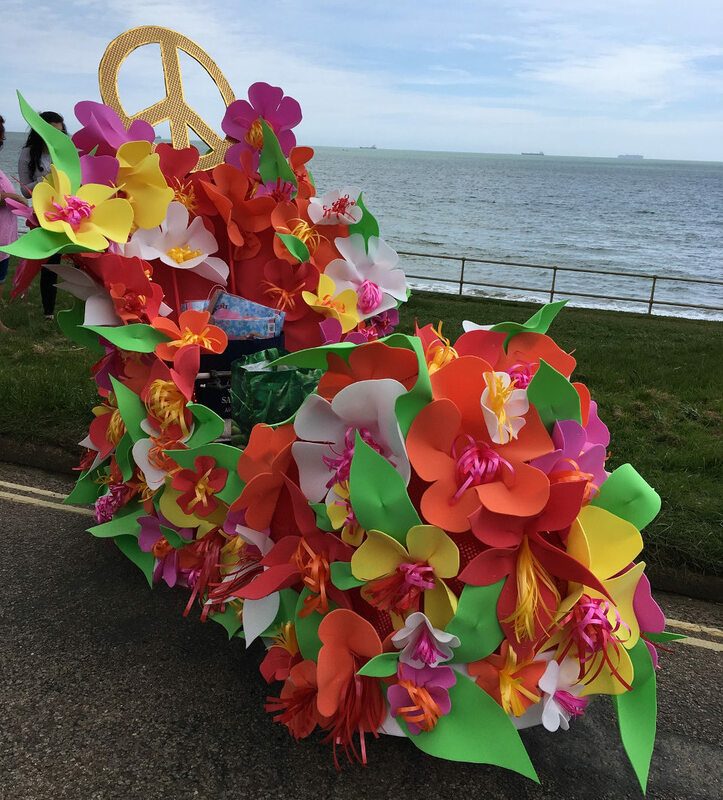 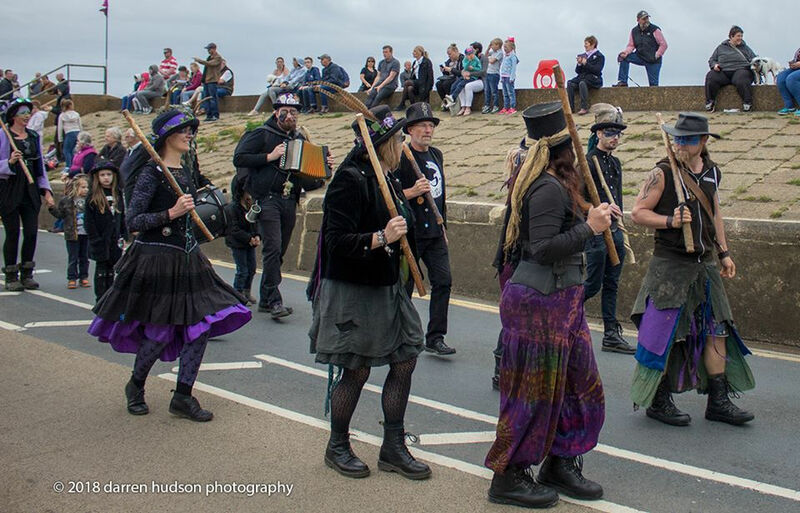 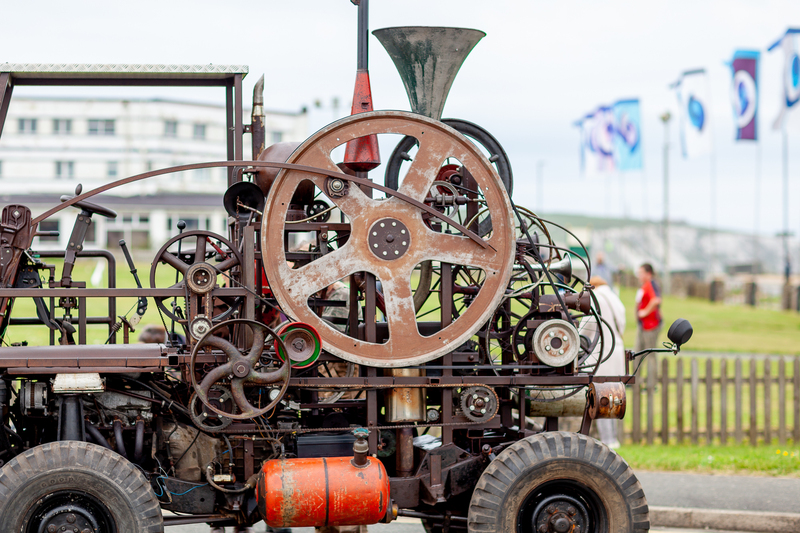 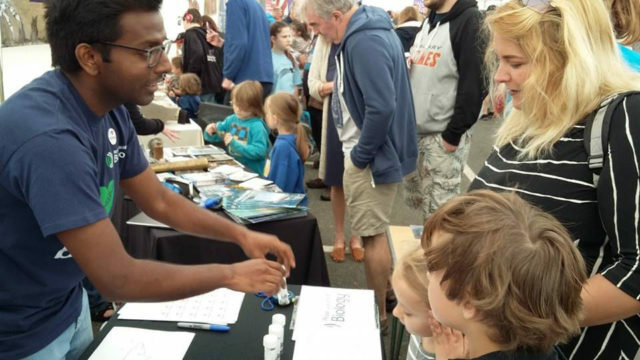 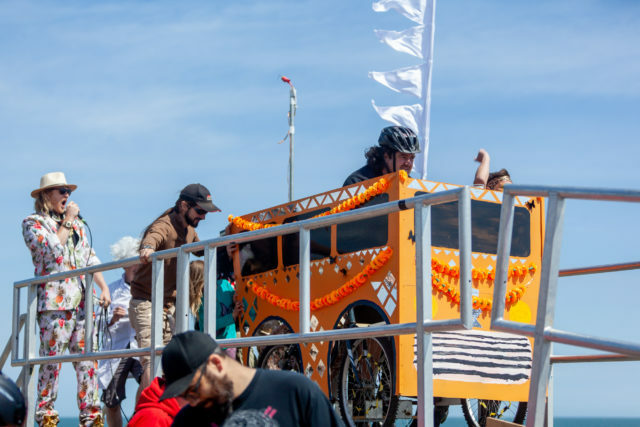 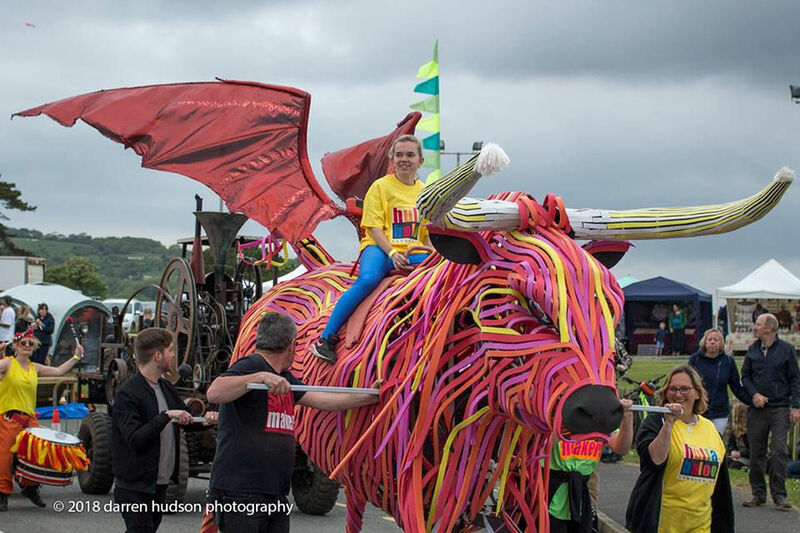 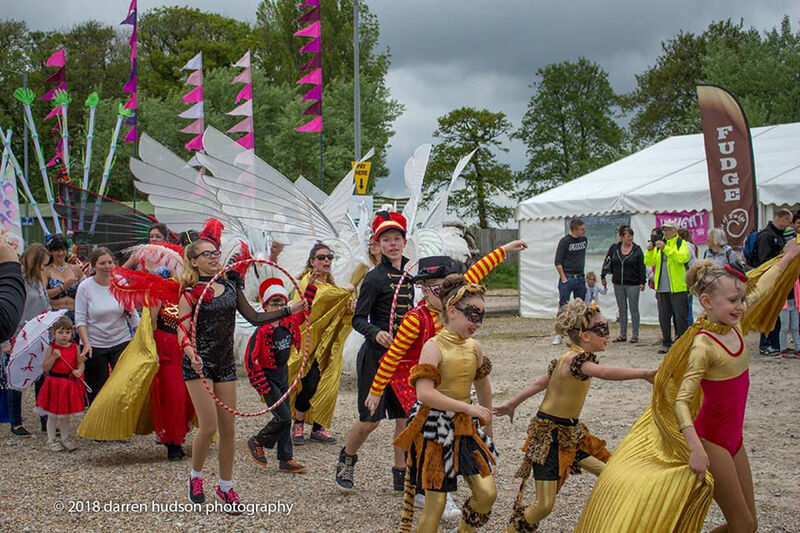 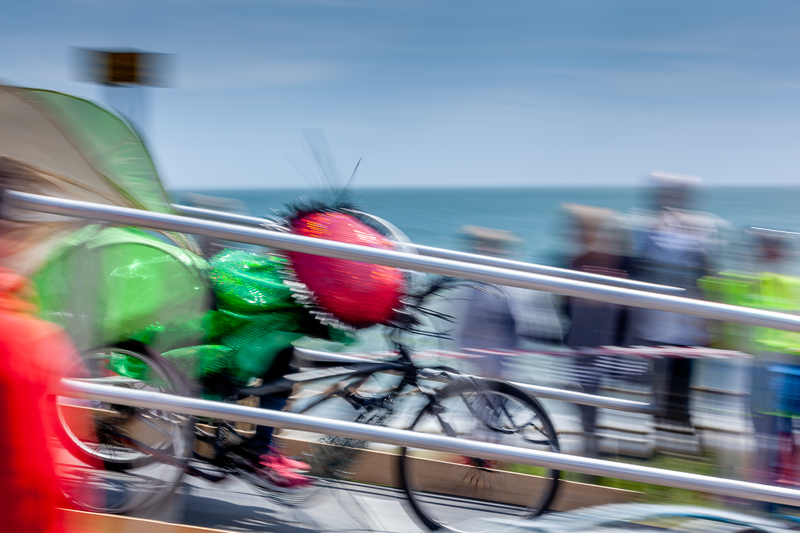 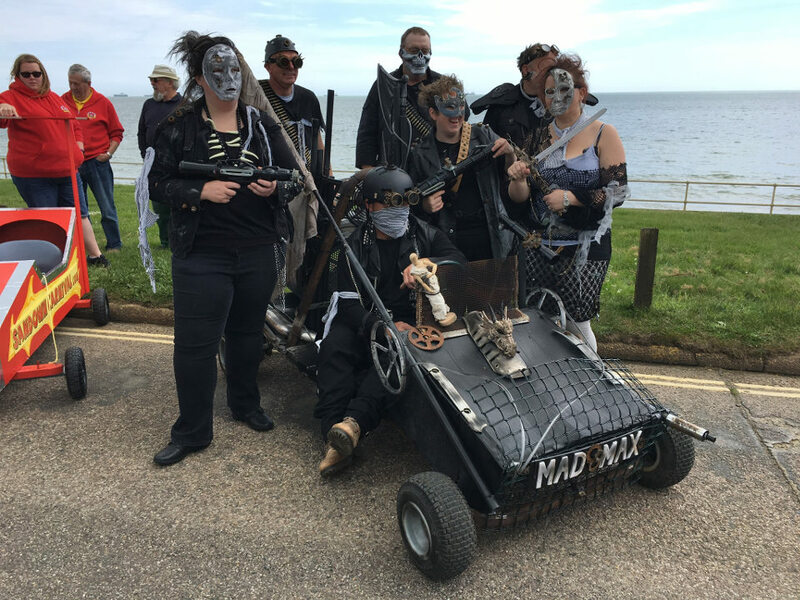 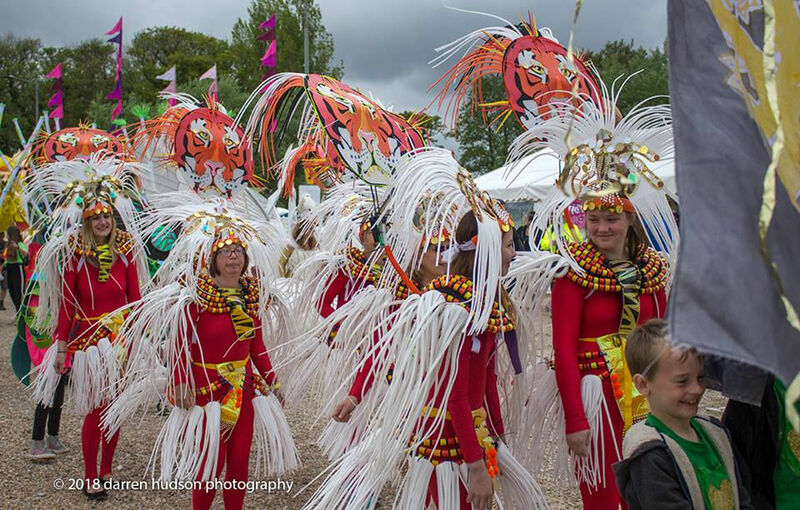 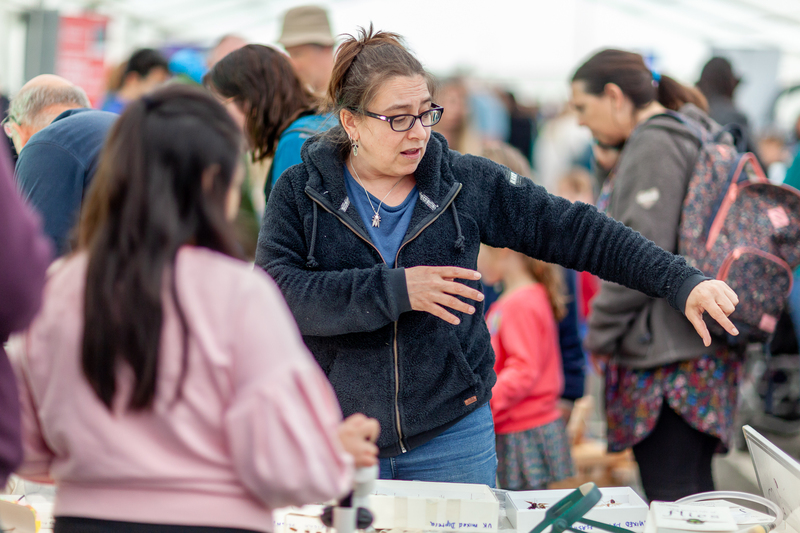 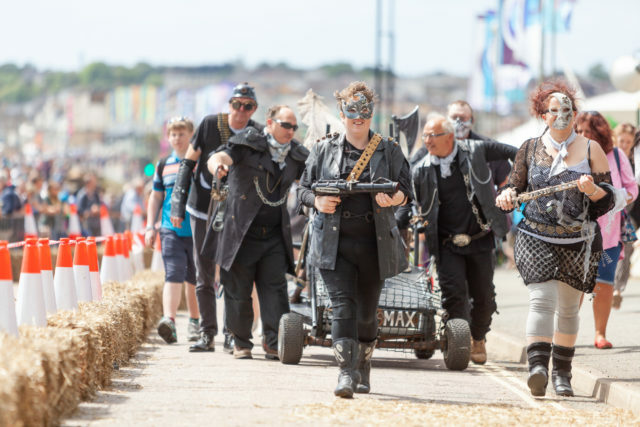 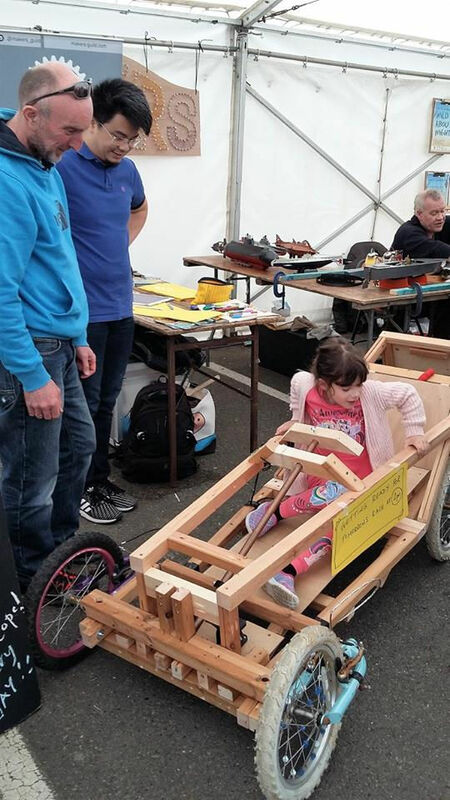 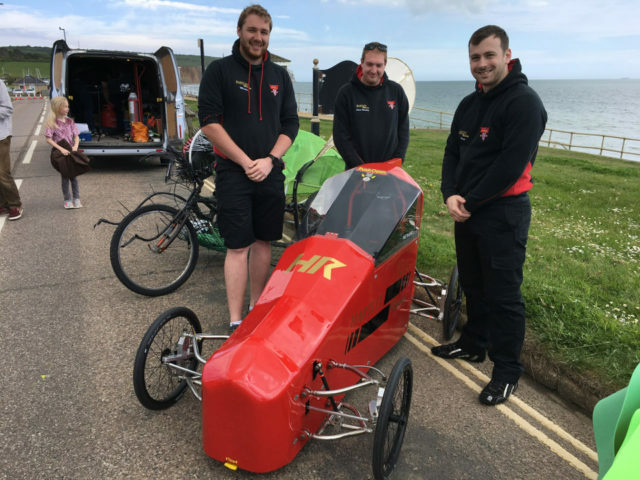 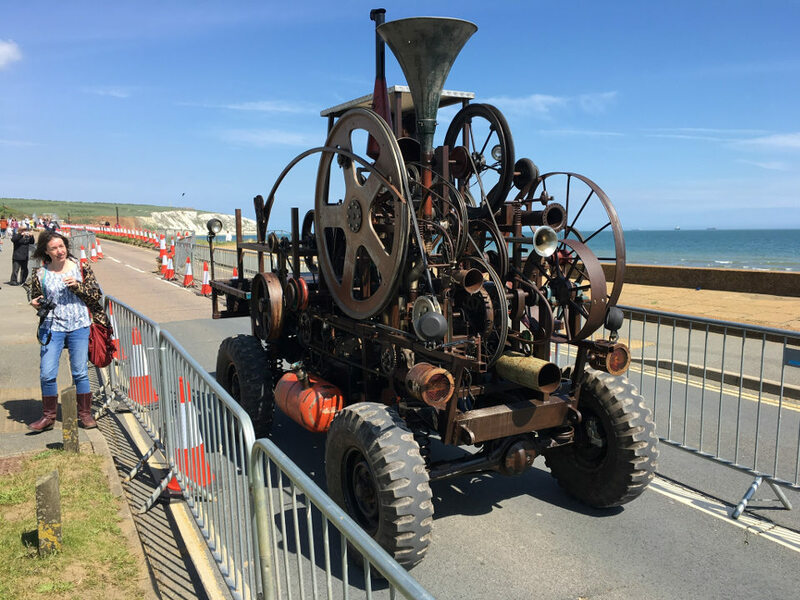 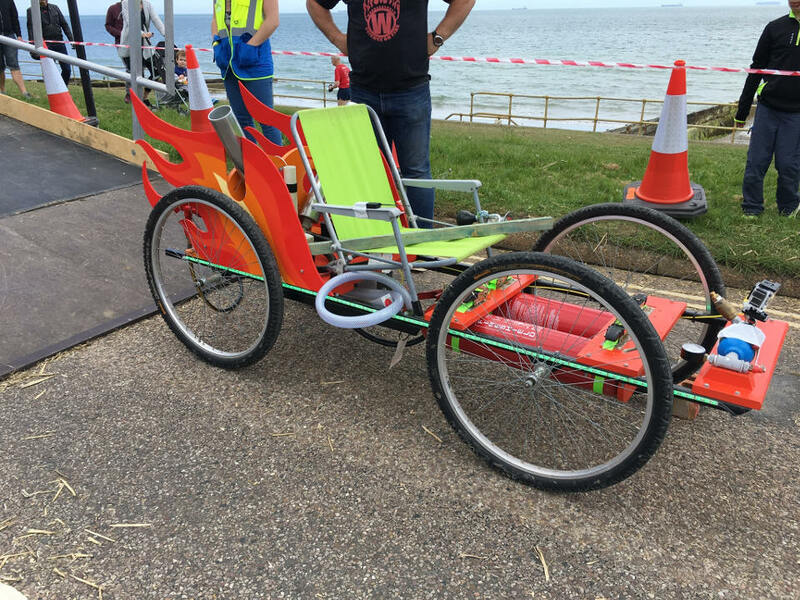 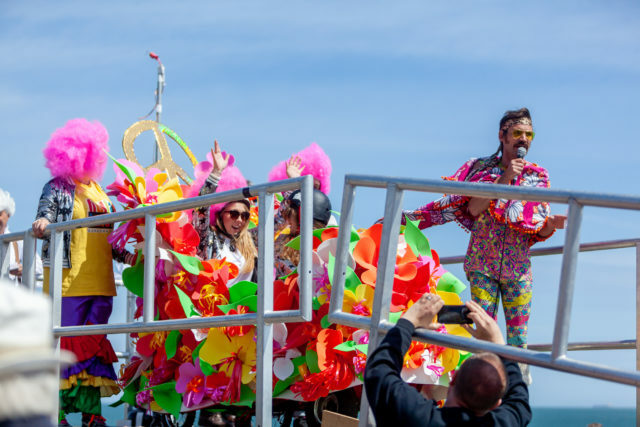 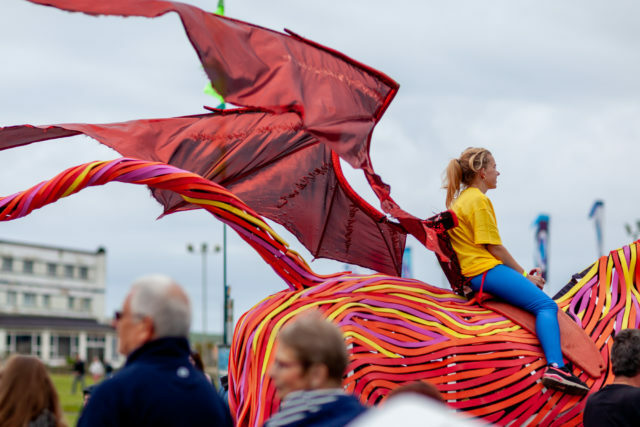 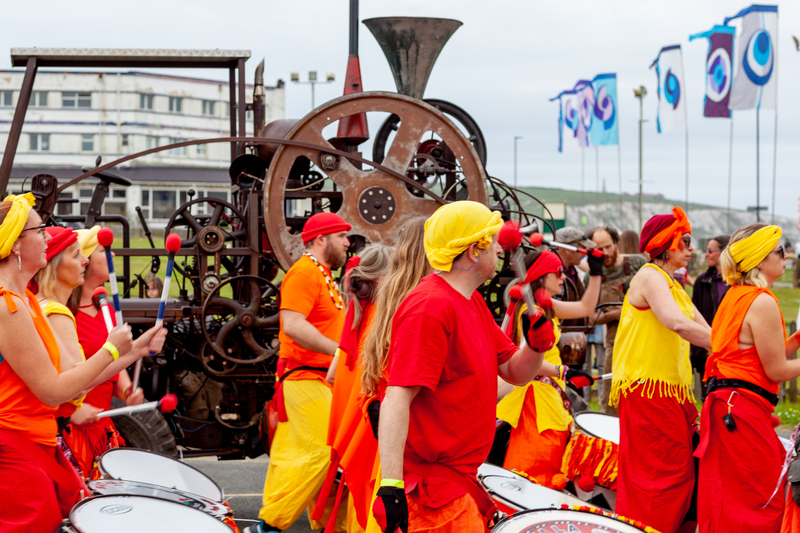 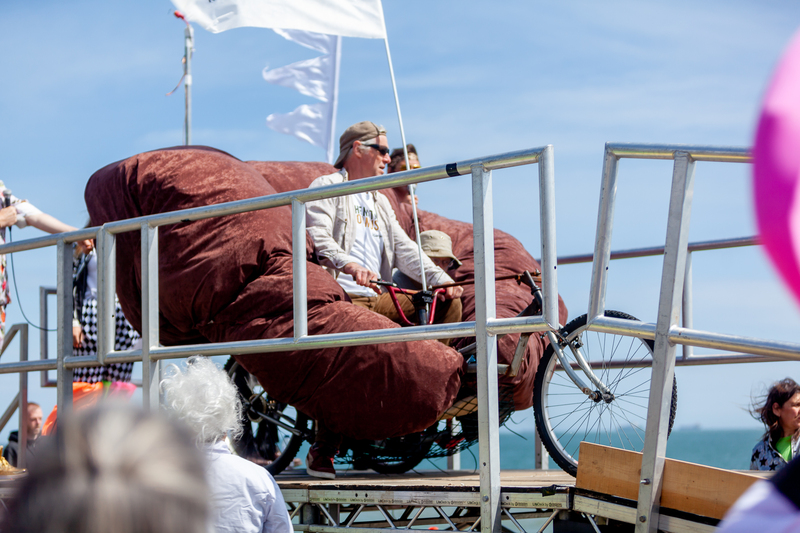 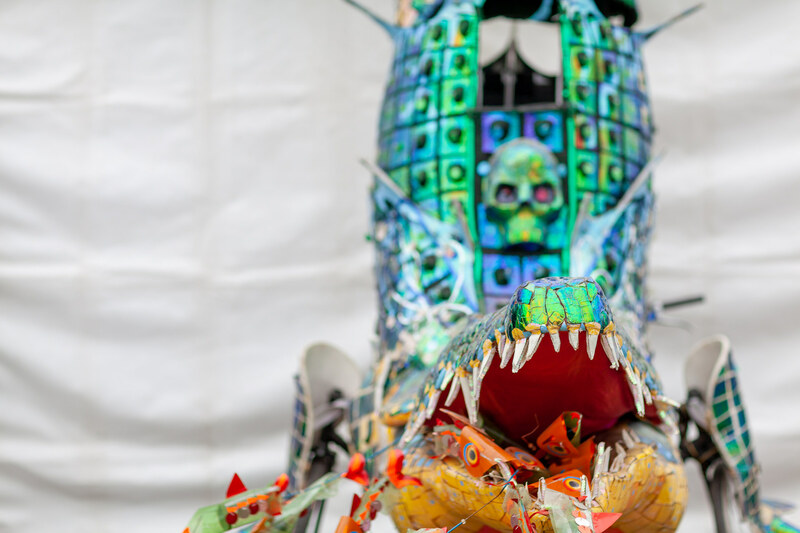 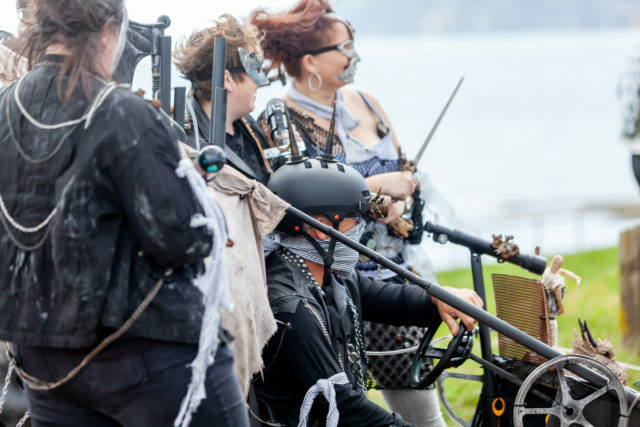 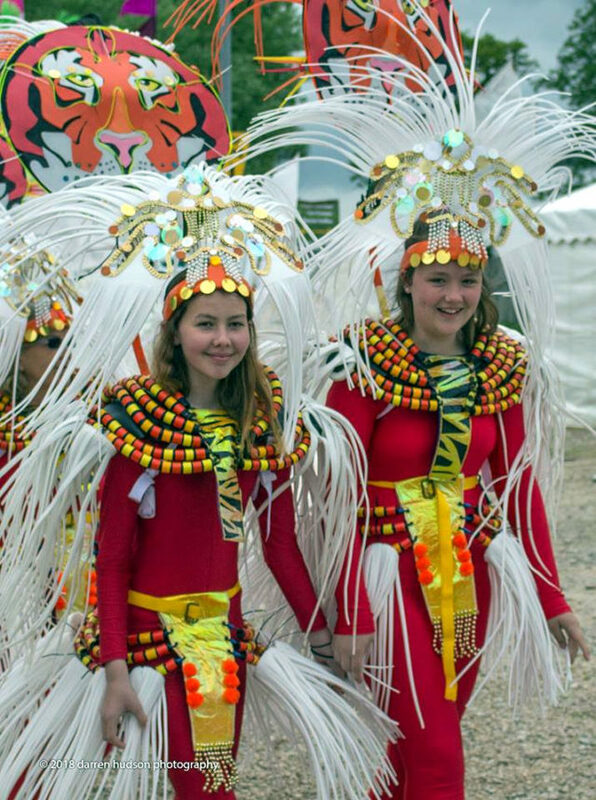 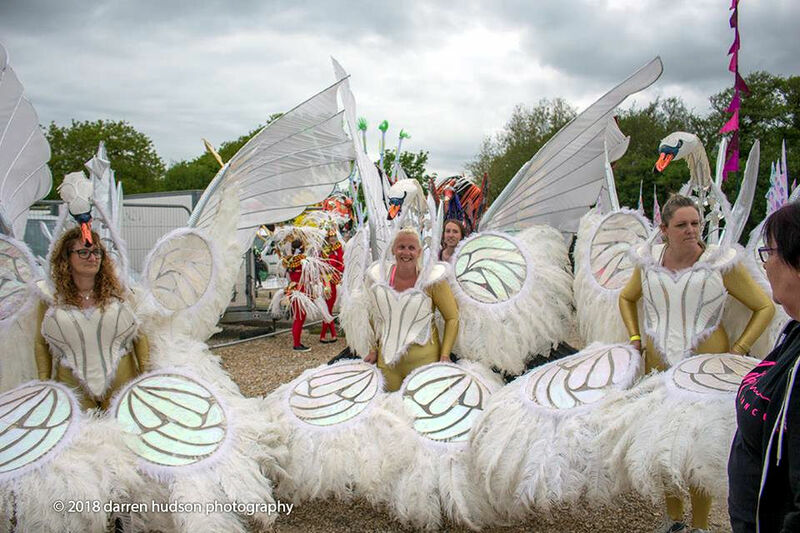 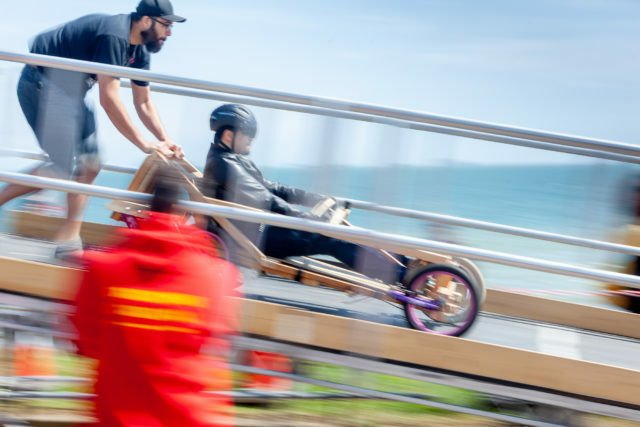 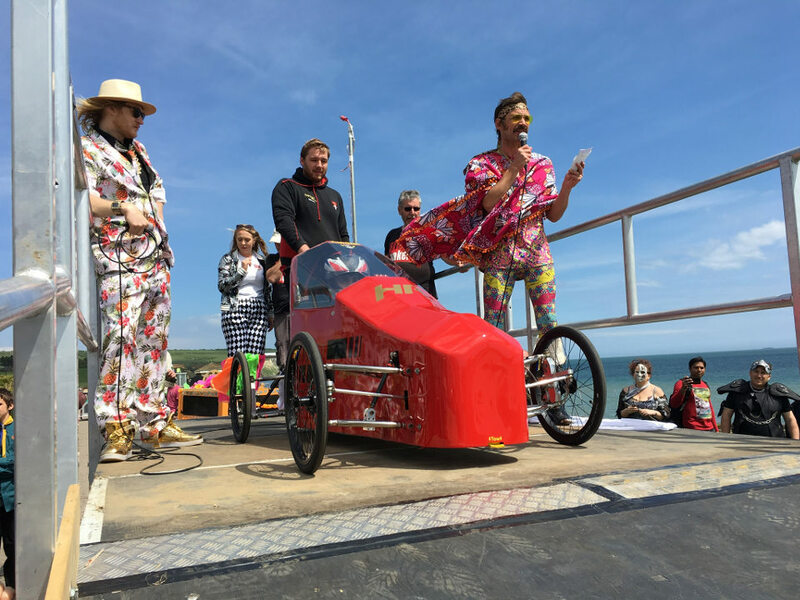 Islanders flocked to Sandown in their thousands to take part in the many activities on offer as part of the two-day event that saw art and science working in perfect harmony. Despite the less than glorious weather on the Saturday, an estimated of four to five thousand people visited Hullabaloo with a whopping 6,000 heading to the 80 hectare site on the Sunday. 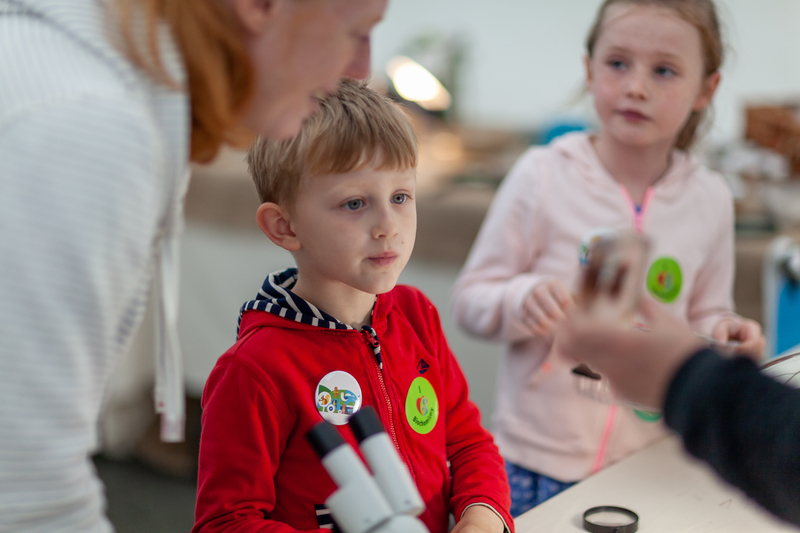 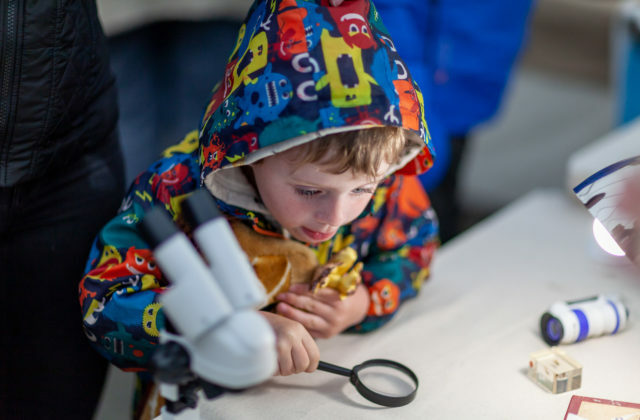 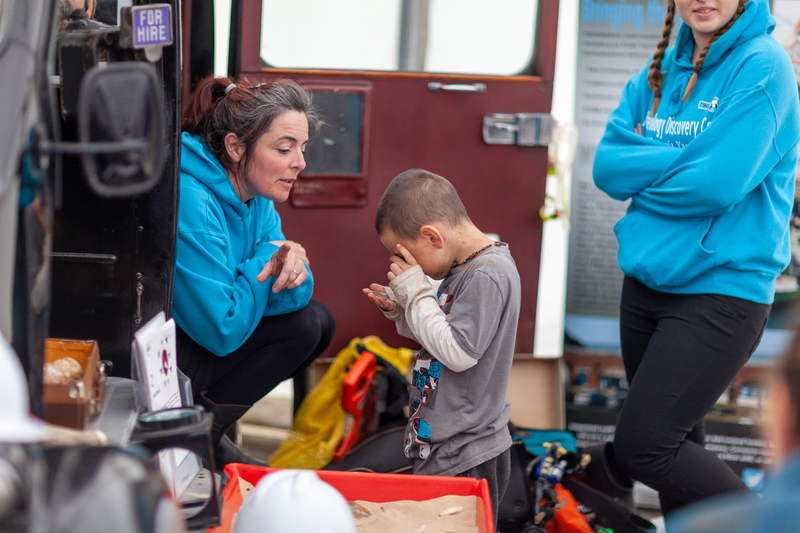 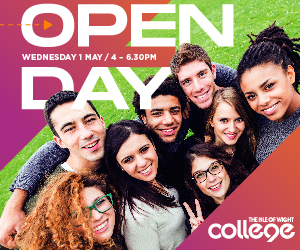 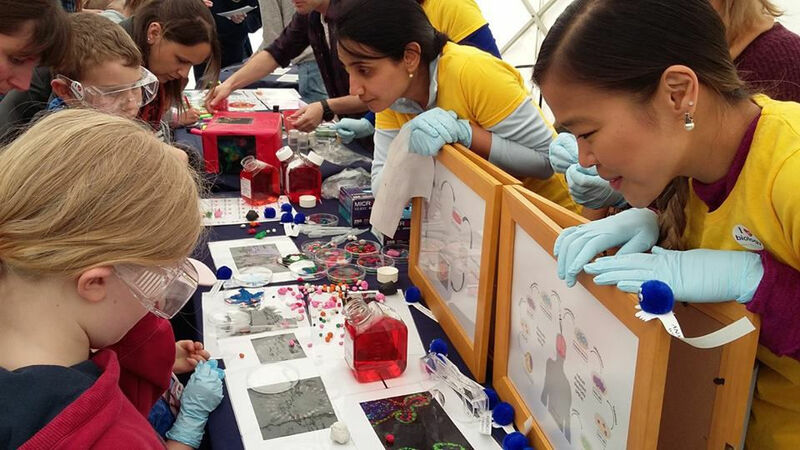 Both days offers fantastic opportunities to discover and explore with the likes of the Science Museum, Natural History Museum, Royal Society of Biology, alongside our wonderful teams from the Island such as Artecology, the National Poo Museum, Arc Consulting and more. 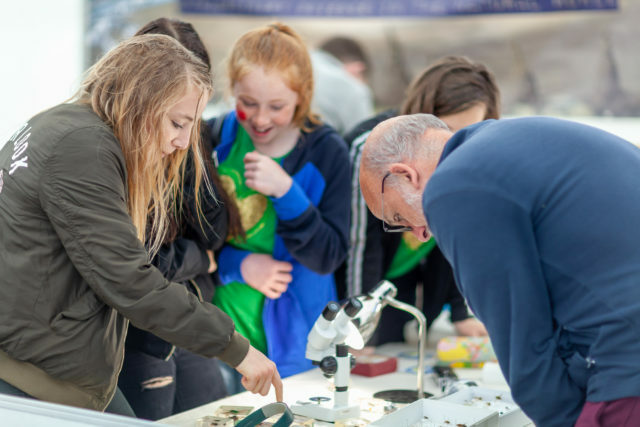 The Pluto Pavilion was open and manned by Men In Sheds, welcoming 300 visitors there alone and Ian Boyd and the IW Bioblitz team recorded a whopping 370 species in the area out as far as beyond the Reed bed! 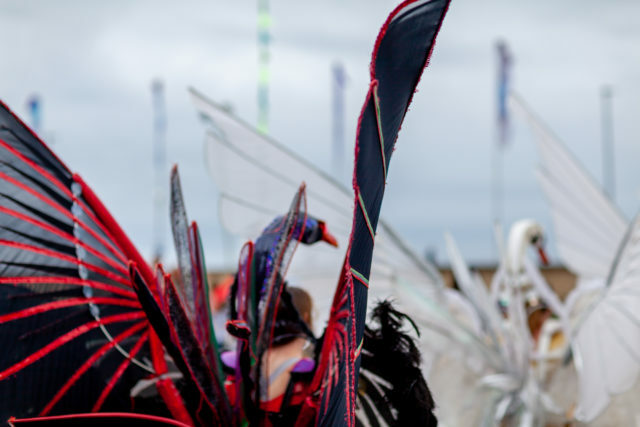 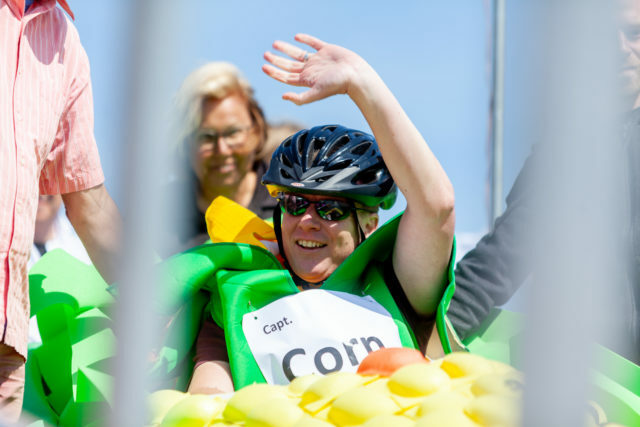 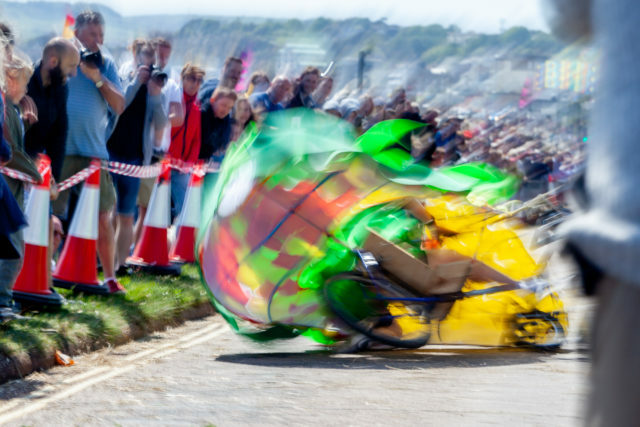 This gallery of shots by Isle of Wight photographer Julian Winslow really give a flavour of just how marvellous the event was. 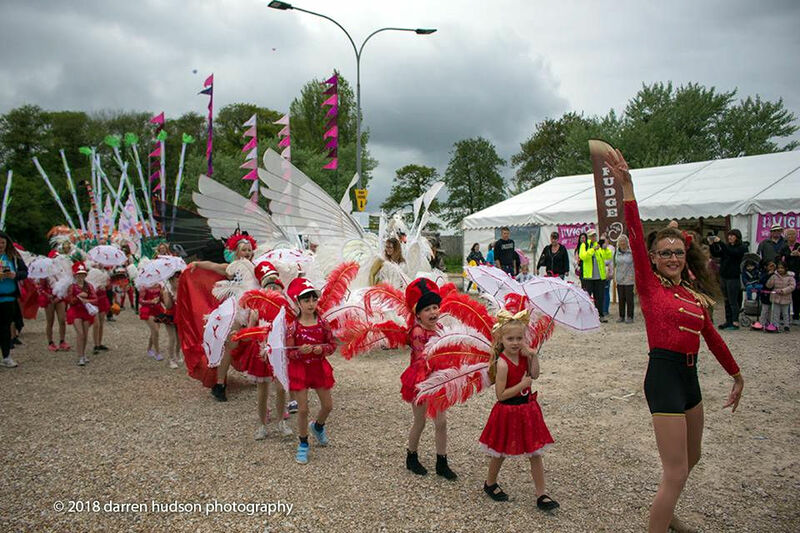 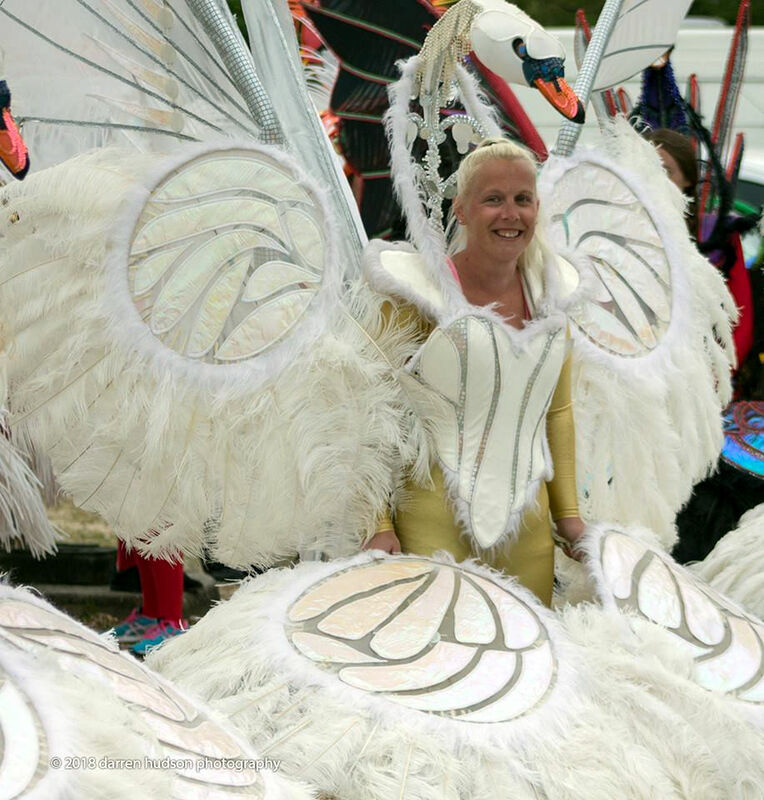 A spectacular display of creativity was on show on Saturday when the parade showcased the hard work of some of our most artistic individuals. 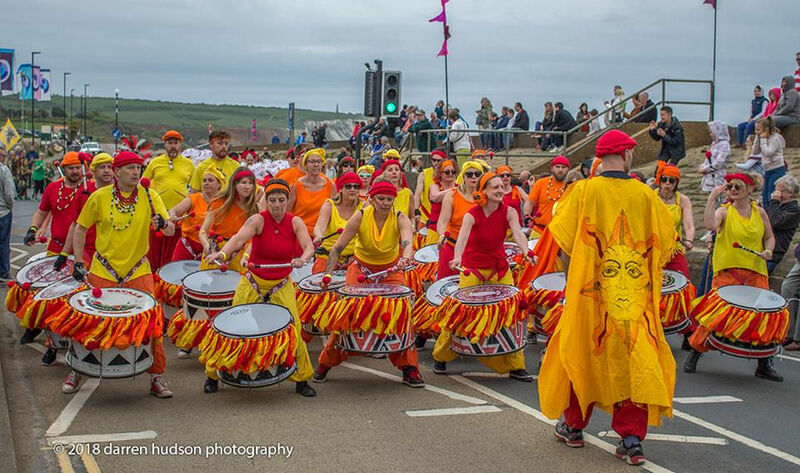 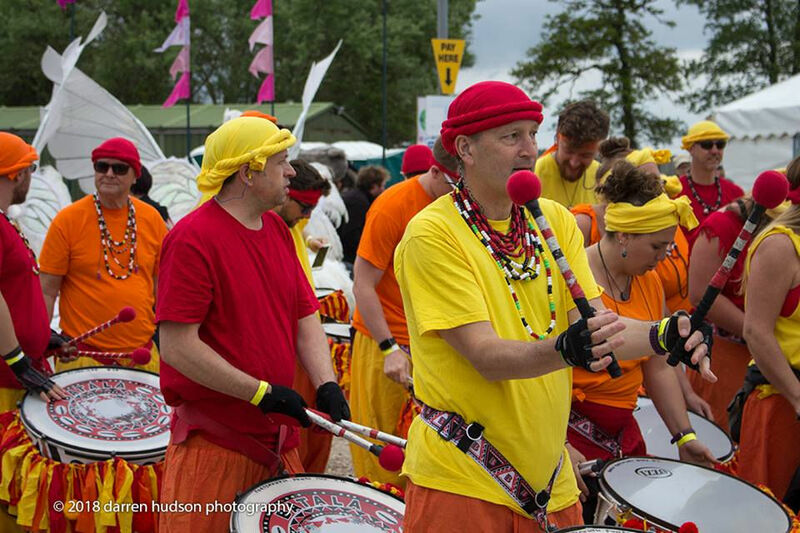 We were treated to fantastic Samba bands, live music, DJs all in a relaxed yet stimulating environment. 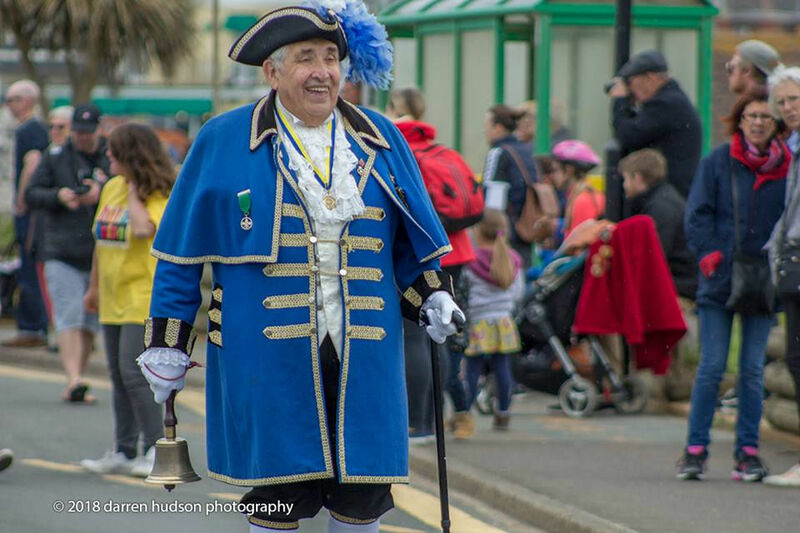 Darren Hudson kindly shares these shots from the day. 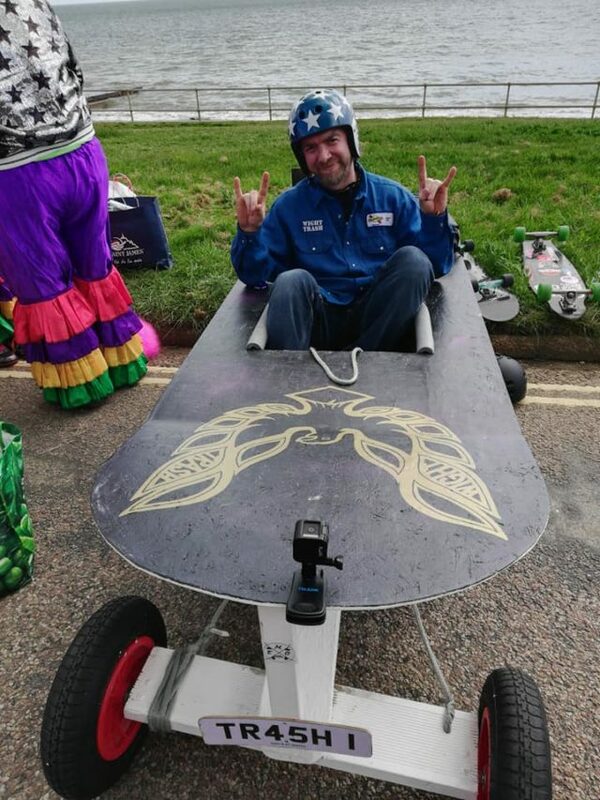 Isle of Wight Skateboarding legend, John Cattle, had a mini ramp set up and was inviting people to try out the sport. 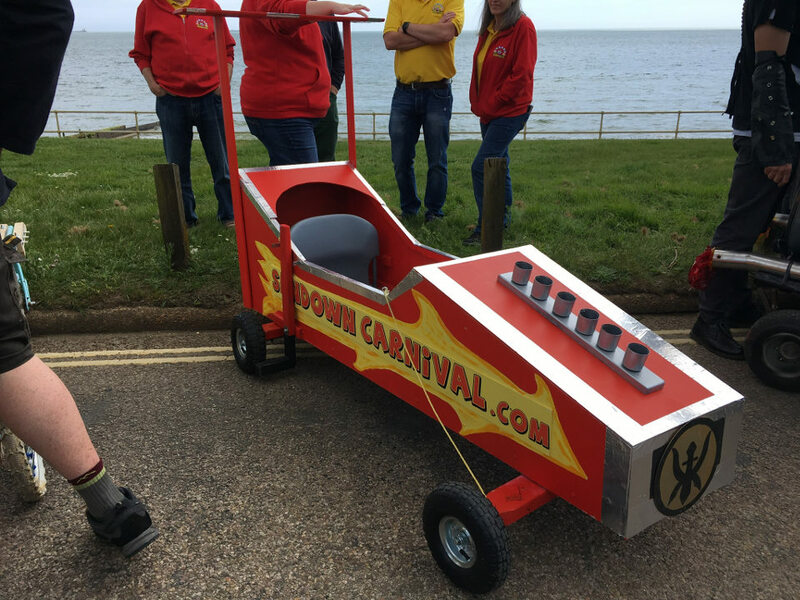 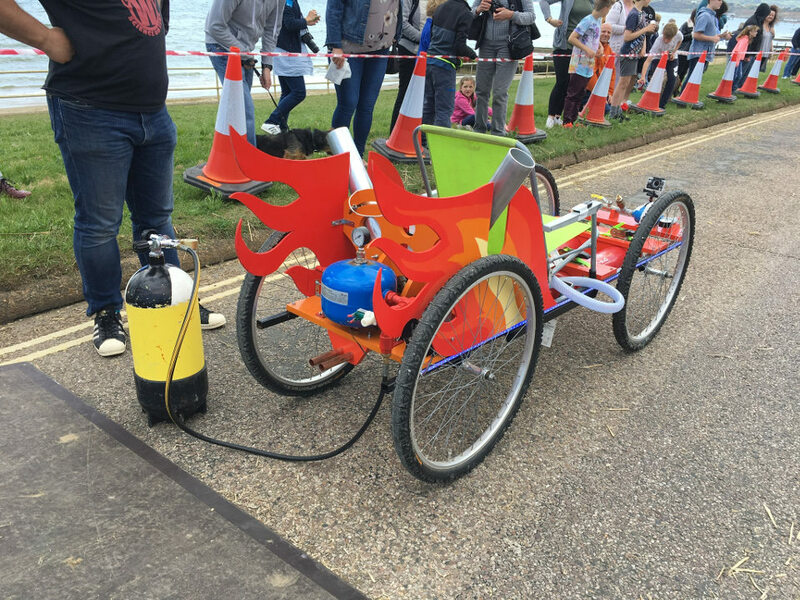 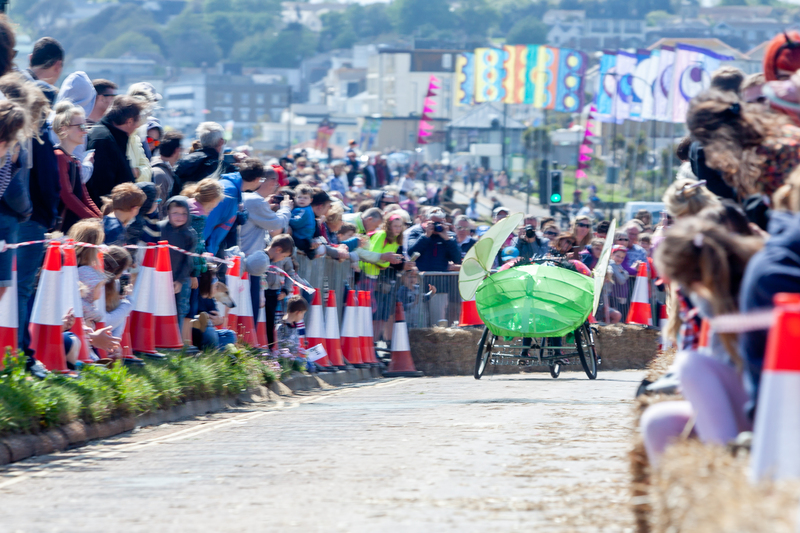 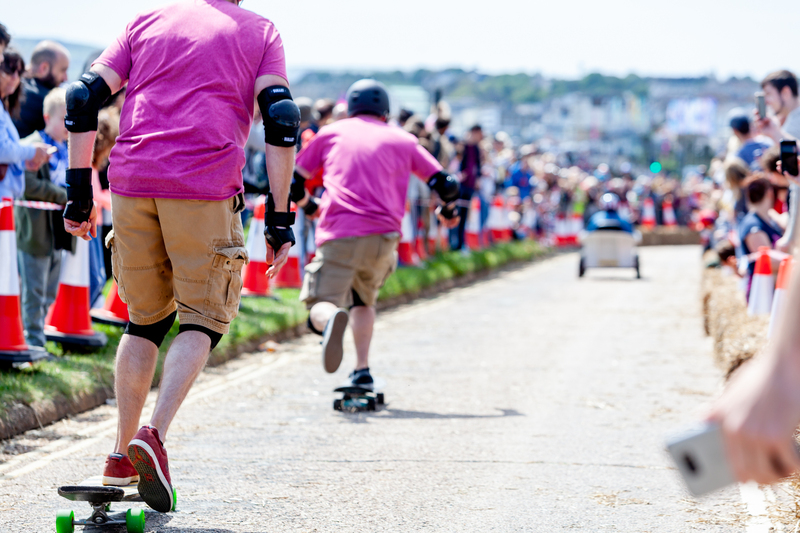 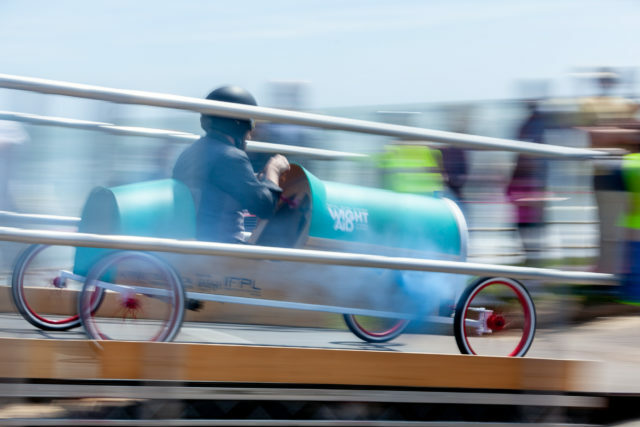 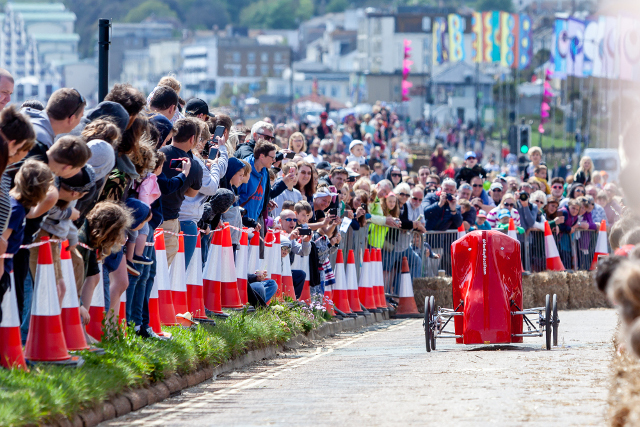 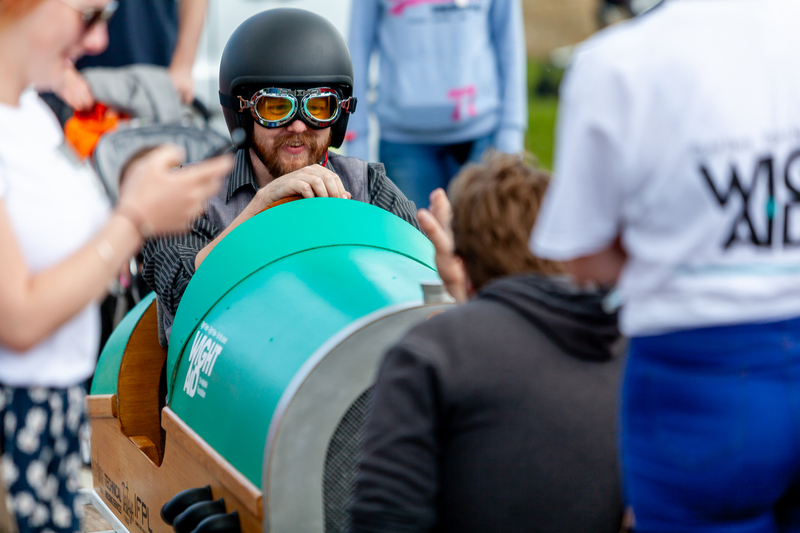 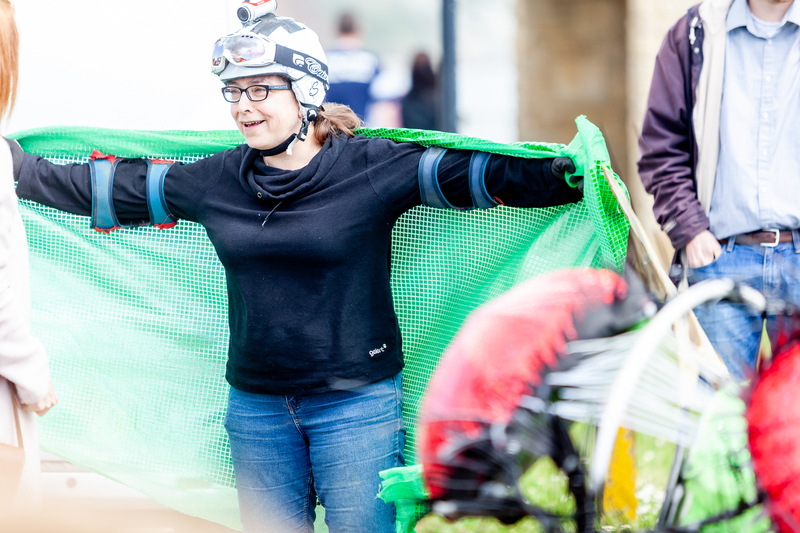 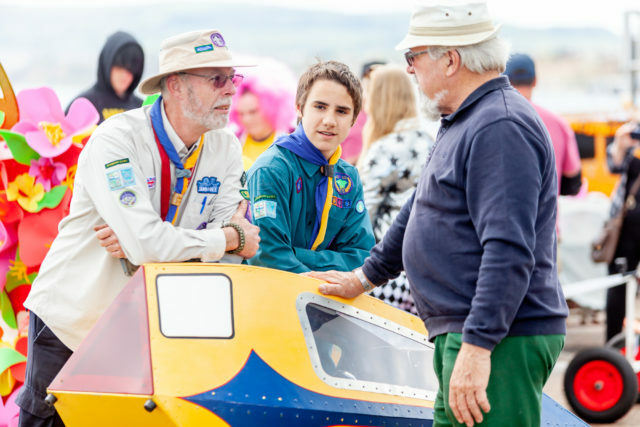 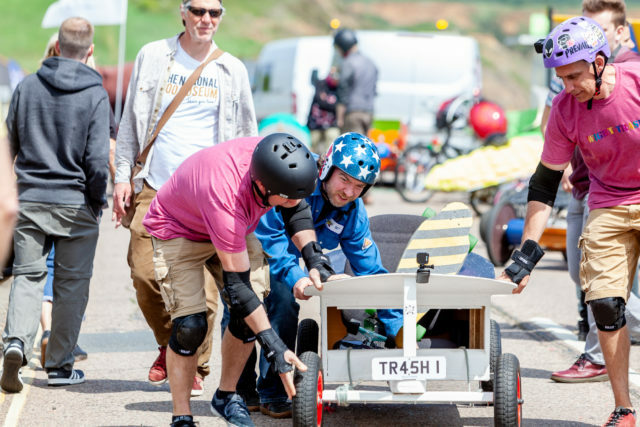 But of course, we can’t leave out the brilliant Soap Box Challenge that saw 100s of people lined up along the course just waiting for the re-enactment of the dramatic crashes from last year. This time there was just one crash and we sincerely the rider has recovered quickly. 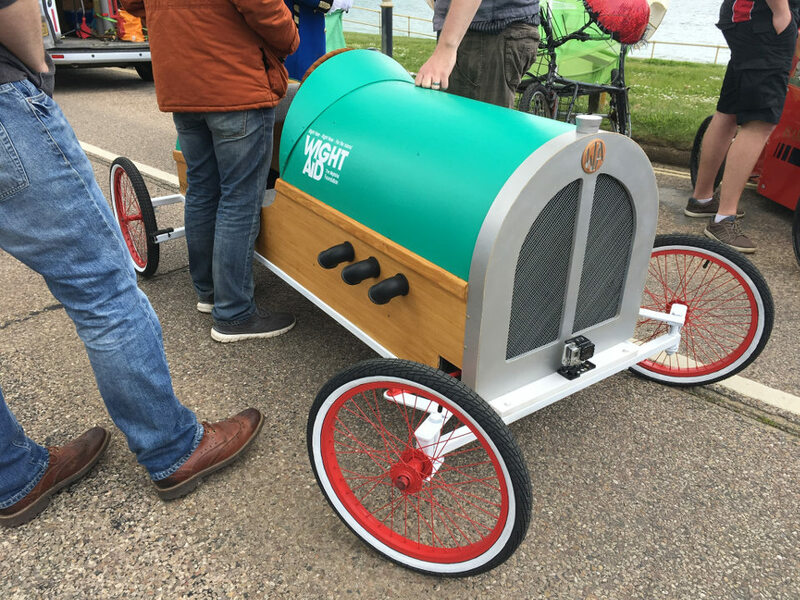 Well done to all the teams who entered their fabulously inventive souped up soap boxes. 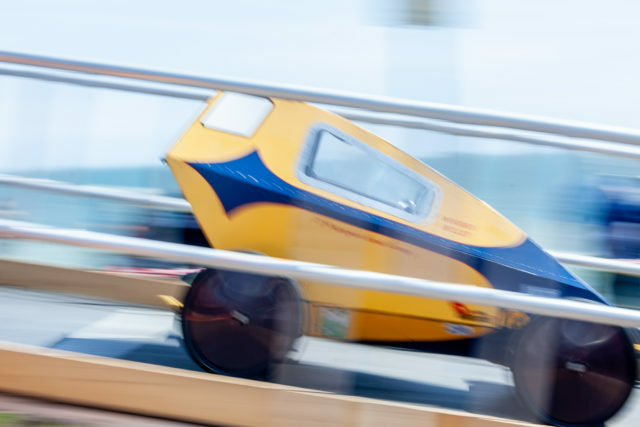 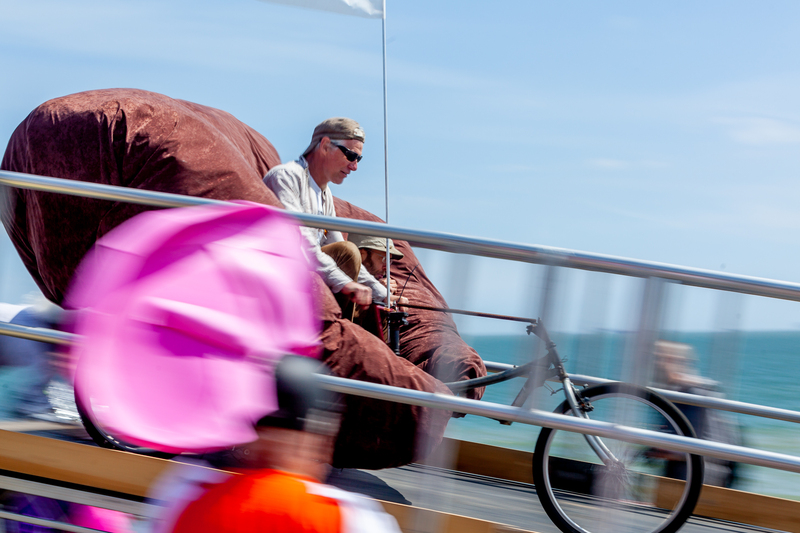 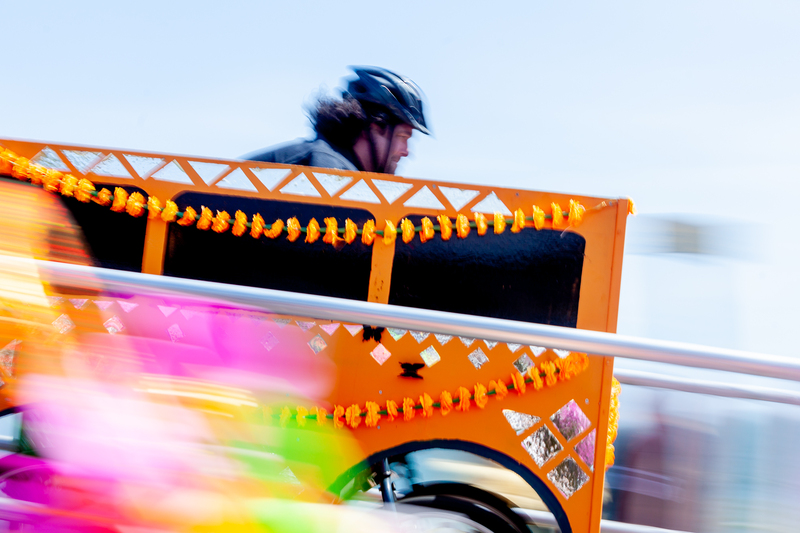 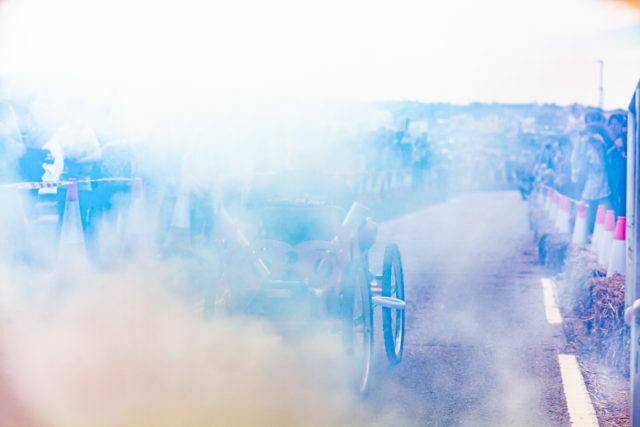 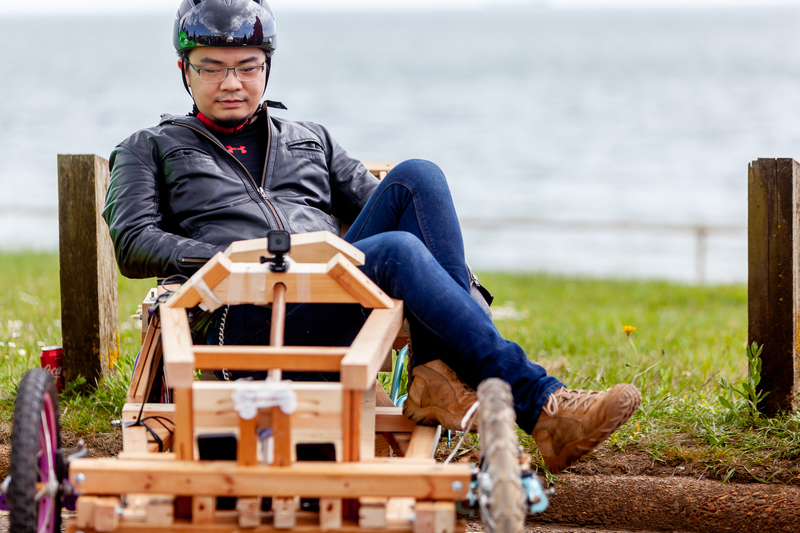 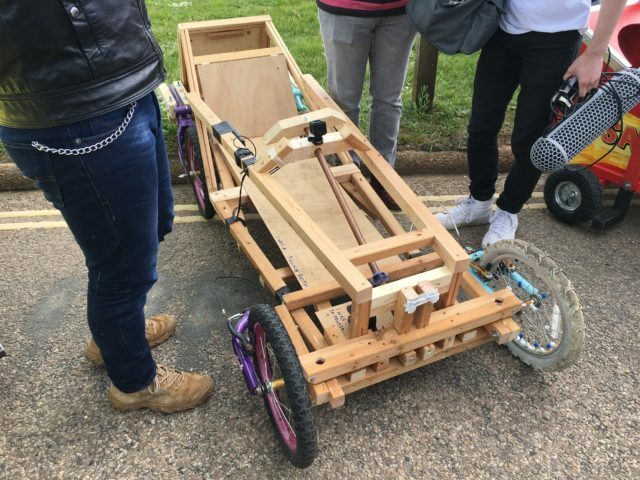 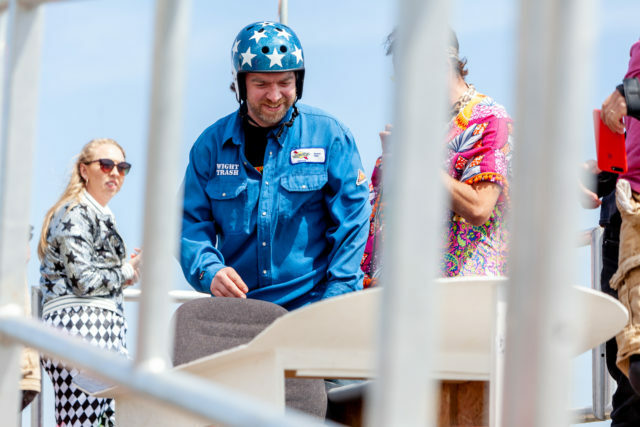 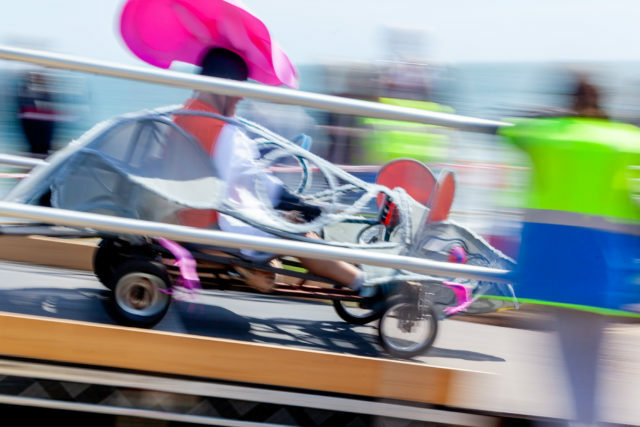 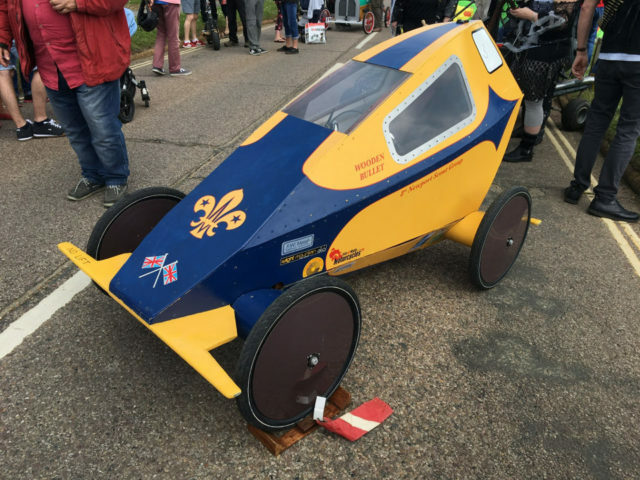 Julian Winslow also shares this shots from the Soap Box Challenge. 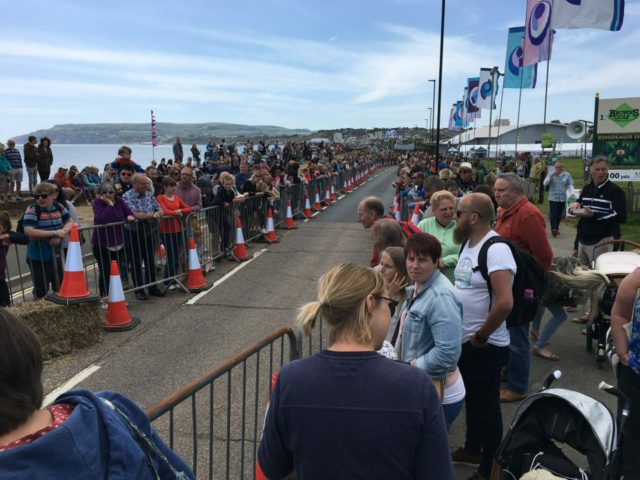 Here are some of OnTheWight shots grabbed on a mobile phone during the event. 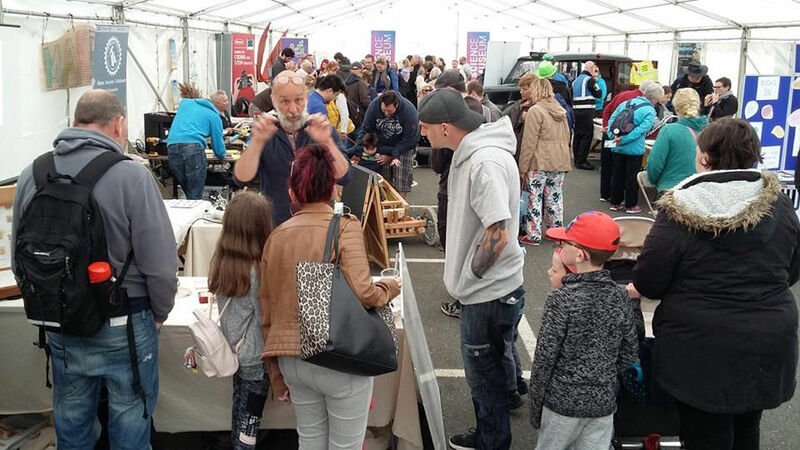 We’re sure the thousands of visitors to the event will be hoping for a return in 2019. We certainly are. 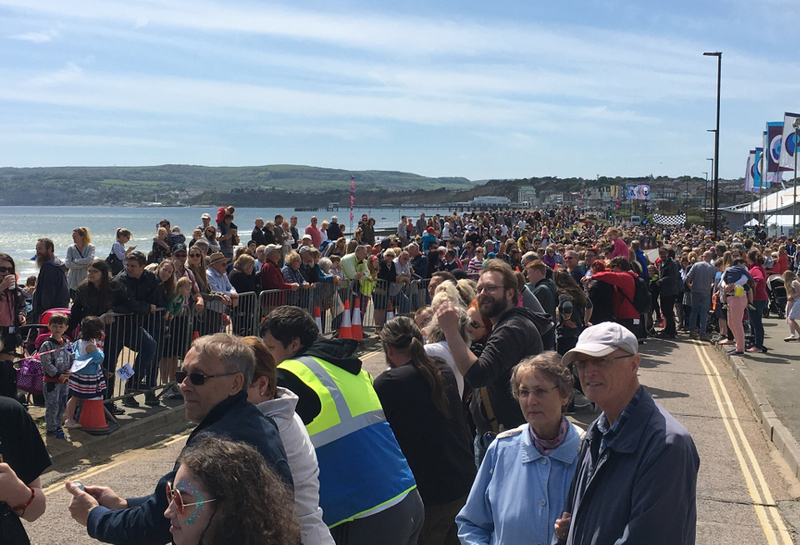 Hopefully all the organisers and volunteers are managing to have a relaxing week recovering. 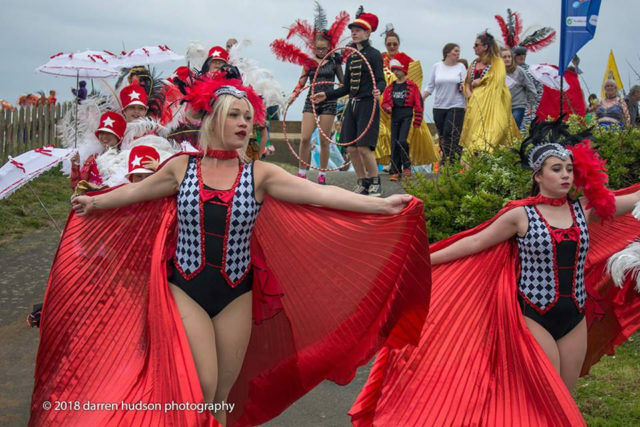 2 Comments on "Photos: Hullabaloo a huge success as 1,000s flock to Sandown"